GUELPH, ON (February 19, 2010) – The Grain Farmers of Ontario (GFO) is pleased to announce the executive has been elected from the 2010 Board of Directors. Don Kenny, the elected representative from District 13 – Prince Edward, Lennox-Addington, Frontenac, Lanark, Leeds, Grenville, Renfrew and Ottawa – will be GFO’s first elected Chair. Don farms 1,300 acres in the Ottawa-Carleton area of the province. The Vice Chair, from District 10 – Grey, Bruce, Wellington – is Henry Van Ankum, a cash crop farmer in Alma with 1,200 acres of corn, soybeans and wheat. Mark Huston from District 2 in Kent will be the 2nd Vice Chair for 2010. Mark has an 1,100 acre family farm in Thamesville, as well as 1,100 finishing pigs. The Executive Member on our first GFO elected board will be Kevin Marriott from District 3 in Lambton. Kevin farms 1,100 acres of corn, soybeans and wheat in Petrolia. “The new Grain Farmers of Ontario executive and full board are looking forward to a productive year that will include strategic planning and policy development along with the establishment of each one of our committees,” says GFO’s new Chair, Don Kenny. 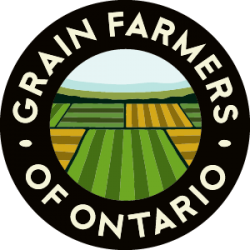 Guelph, Ontario – Ontario’s corn, soybean and wheat farmers will have a strong and unified voice in the province beginning January 1, 2010 with the inauguration of Grain Farmers of Ontario. An interim board of directors will be appointed by the province to oversee the GFO’s operations until the completion of regional elections in early February. 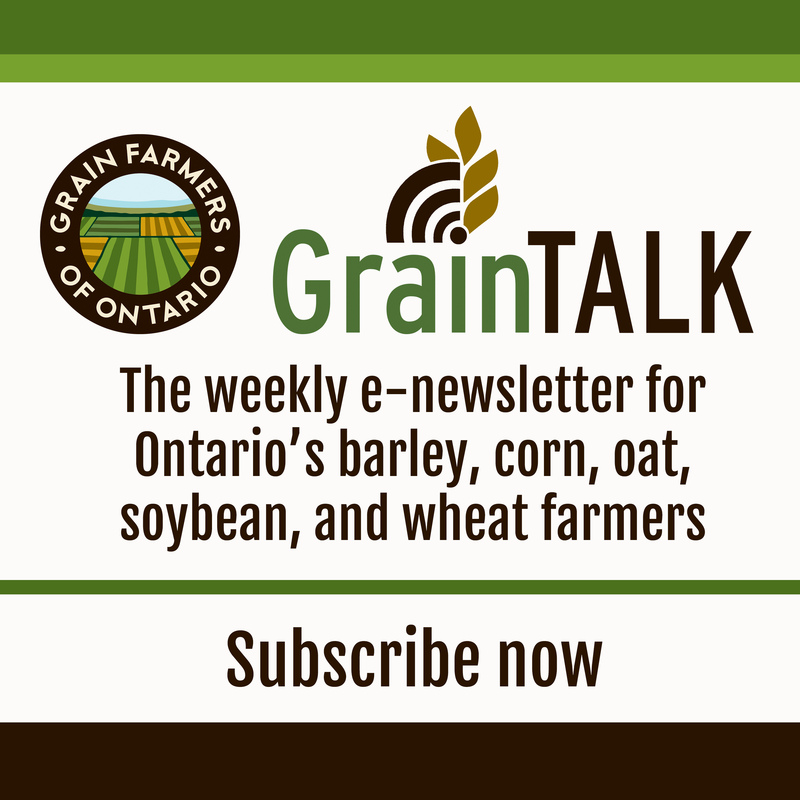 The elected board of directors for Grain Farmers of Ontario will be in place by early March 2010 and will focus initially on policy development and business planning. “GFO will ensure our members have a strong voice on provincial and national issues as well as offering programs and services that add value to their businesses,” says Barry Senft, CEO of Grain Farmers of Ontario. GFO will build upon the strength of our farmer members and our heritage organizations to take a leadership role in marketing, market development and advocacy. The new organization will work with farmers to get the most out of their high quality crops through innovative research and policy development. For GFO to be successful right out of the gate, it is important for all members to shape and direct the organization by participating in the upcoming January meetings and elections. There will be an opportunity for dialogue with executive staff and to elect the political leaders of GFO at these meetings to ensure the organization is built from the ground up. Check the website at www.gfo.ca or the Ontario Grain Farmer magazine for regional meeting dates. This merger of Ontario’s corn, soybean and wheat organizations will position GFO as the largest provincial commodity board representing 28,000 farmers and five million acres of farmland that generate $2.2 billion in farm gate receipts, over $9 billion in economic output and 40,000 jobs. November 18, 2009 (Acton, ON) – What do household insulation, mattress foam and kitchen cabinets all have in common? Soybeans! Yes Soybeans. The Soy House, the feature exhibit at this year’s Royal Agricultural Winter Fair enabled visitors to experience how soy can be used as an environmentally-friendly, sustainable replacement to petroleum oil in many household products. The house demonstrates the emerging soy market in Ontario and showcases the complete soybean value chain, from agricultural roots to people’s homes. By partnering with Quality Homes and Habitat for Humanity Halton, the first-ever Soy House has landed in Acton for a Habitat partner family to call home. The commercial uses of soy are made possible by separating soybeans into two distinct and equally useful parts. When crushed, 80 percent of the bean becomes high protein soy meal, which is used for human and animal consumption, while the remaining 20 percent becomes soy oil, which can be used as bio-fuels and as a sustainable replacement to petroleum oil. “The use of soy as a renewable alternative to petrochemicals enables the development of a wide array of greener, eco-friendly products for consumers,” said Dale Petrie, Director of Strategic Development and Innovation, Grain Farmers of Ontario. A deserving Habitat family will benefit from living in the Soy House, which will have lower energy costs and features soy-based structural components, thereby reducing harmful off-gases, in everything from No-VOC paints and varnishes, adhesives, household insulation, kitchen cabinets and bathroom fixtures. “The partnership with Habitat for Humanity Halton was a natural fit as we showcase the benefits of using soy. Ontario soybean farmers and our partners are committed to volunteering with Habitat to complete the house, ensuring the partner family is able to move in as early as possible” continues Petrie. Over the coming weeks all partners with join the selected family in completing the remaining work in order turn over the keys to their new home.